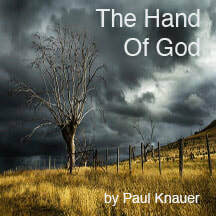 In this modern extension of Cain and Abel, a murderer, sentenced to life on earth by God, is given a chance at redemption when God reunites him with his brother— the man he killed so long ago. Cast: 1 Leading Male, 30s, 2 Supporting Males, 30s, 1 Supporting Female, 30s, 1 Supporting Male, 10, 1 Supporting Male, 50s. Several smaller roles, male and female. Production Cost: Low to Moderate. Minimal locations, a smaller cast and some effects.